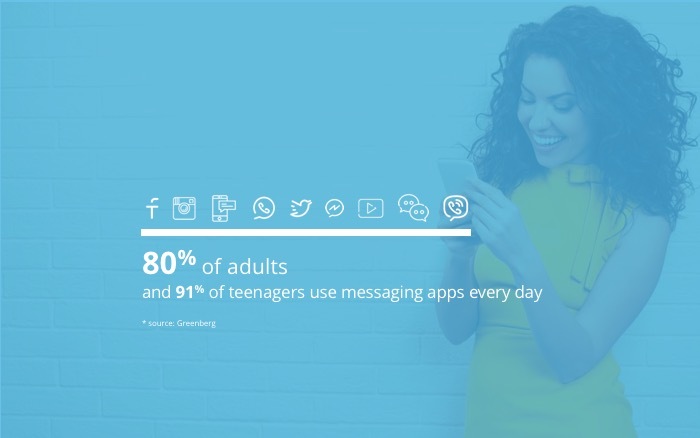 A recent study from Greenberg show that 80% of adults and 91% of teenagers use Messaging apps daily. 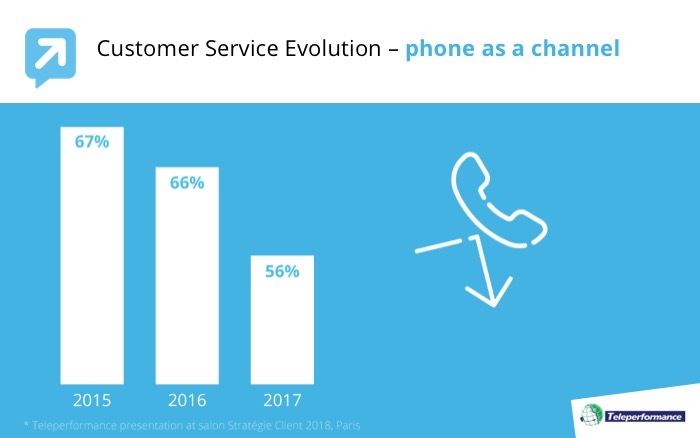 Phone as a communication channel has been dropping for the past three years - your customers prefer to use digital channels that give them additional convenience and flexibility. 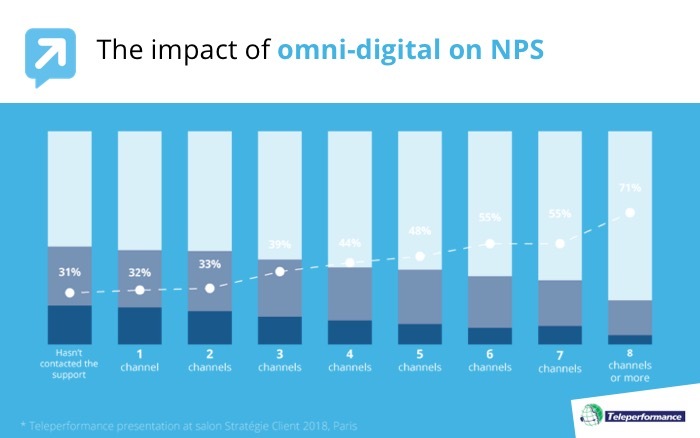 Another study from Teleperformance shows the impact of omni-digital on your NPS: the more channels are available for your customers to contact you, the better your NPS. This can be explained very easily: the more possibilities you give your customers to solve their problems, answer their questions and build a relation with you, the more reasons for them to promote you. Your customer care teams are organized in technological sillos, preventing the information to circulate efficiently. 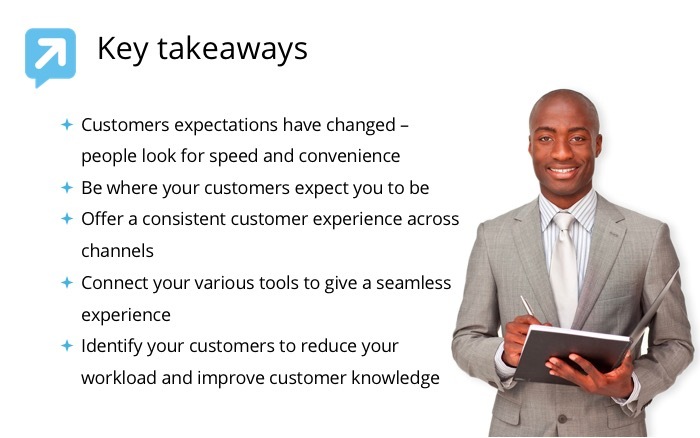 As a result, your customers have a different experience depending on the channel they use to contact you. 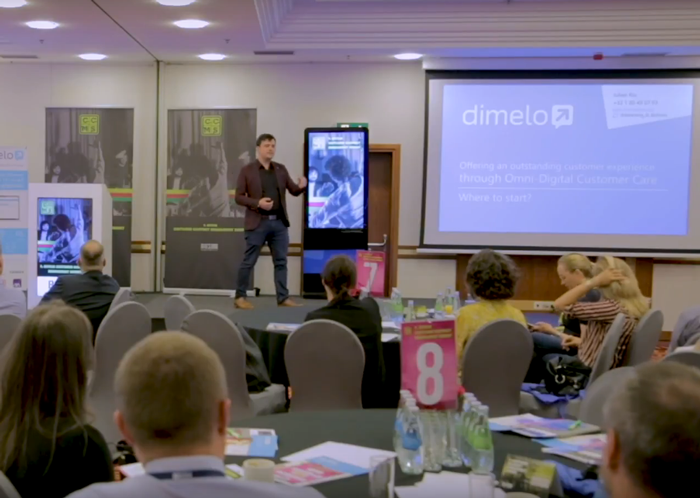 Studies show that 58% of customers feel frustrated by an inconsistent experience across channels - providing an equivalent level of service across channels has now become a must for companies. 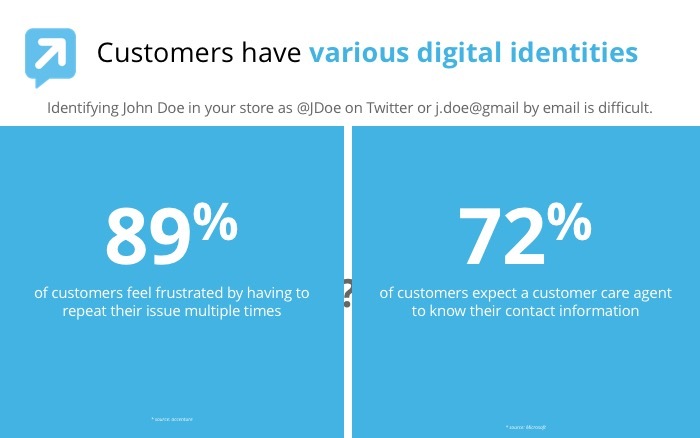 One of the most frustrating thing for your customers when it comes to interacting with your company is to have to repeat themselves: 89% claim to be frustrated by having to repeat their problem over and over again, while 72% consider that customer agents should be able to identify them automatically. A customer care department is made of multiple tools: CRM, customer interactions platform, BI, reporting, call solution, chatbot, etc. 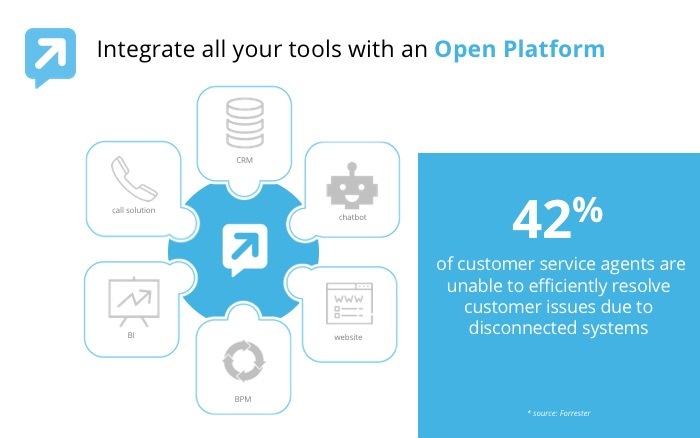 42% of customer service agents fail to satisfy customers because of a lack of communication between these tools. You must find ways to unify the various bricks of your ecosystem so you could benefit from a 360° view of your customers.